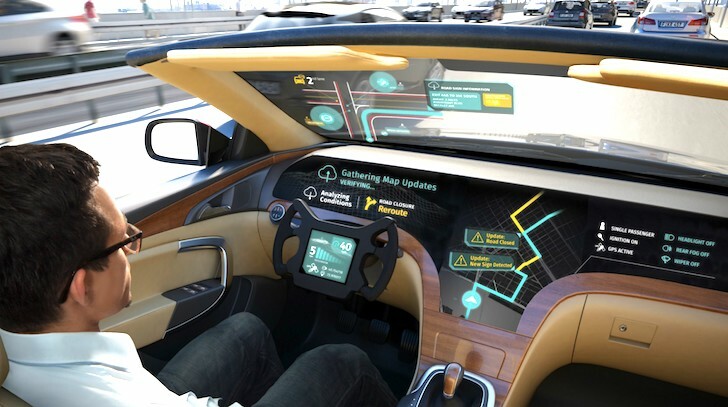 LG Electronics announced a partnership today with HERE Technologies to create a new platform for self-driving cars' navigation systems and onboard sensors. The two companies plan to offer a "next-generation telematics solution for autonomous vehicles," combining the considerable digital mapping and navigation expertise of HERE with LG's communications technologies. We are all familiar with LG, the South Korean manufacturer of all manner of electronics from smartphones and televisions to washing machines and air conditioners. But today's announcement does not, alas, mean that LG is now adding autonomous vehicles to its lineup. Instead, it's about what information those vehicles can gather, process, and use. HERE Technologies was part of Nokia until 2015, and its impressive pedigree goes all the way back to Navteq, an early leader in digital mapping. HERE is now owned by a consortium made up of three German auto manufacturers, Audi, BMW, and Mercedes. While HERE is not a household name like Google Maps, its technologies are in wide use across the industry, with its mapping data used not only in automotive systems, but also by Facebook, Microsoft's Bing, and Amazon. Among HERE's mapping and navigation technologies is HD Live Map, which is designed to read street signs and detect objects and obstacles on the road in real time. LG says HD Live Map will be a key part of what the two companies develop together, claiming that they will be able to rapidly scan the environment around a vehicle and send that data to the cloud for analysis and transmission back to the ground for driving information customized to each vehicle using the system. Despite the fact that HERE is owned by three auto manufacturers, there has been no announcement as to whether any specific companies plan to deploy the LG-HERE platform for their vehicles. And I'm not gonna lie, I'm a little crestfallen that we won't be getting an LG car. One can only imagine a car that perhaps resembles the Nexus 5: fast, clean-running, and with terrible gas mileage. Or maybe something like a G Flex, where the car is steeply curved...for no...reason. And what would LG name their hypothetical car? Why, the Lucky Goldstar, of course.